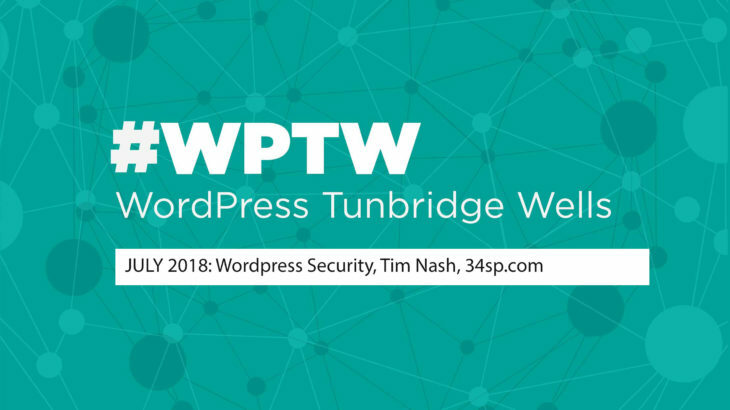 #WPTW July 2018 WordPress Meetup – Practical Security: Tim Nash: 34SP.com. We have all been to the scary WordPress security talk where Tim or someone else frightens you to death, but it’s not too dire, in those talks there is a theme beyond despair and that’s ‘every little helps’. So this talk is low on scary tales and high on simple practical tips to improve your site’s security. On their own, they might not be the silver bullet, but they all add up. Tim will guide you through things anyone of any ability level can implement to improve their site’s security. #WPTW July 2018 WordPress Meetup – Making WordPress fly with JetPack: Kayleigh Thorpe: 34SP.com.